Jess is in the cast of Edinburgh and Bloomsbury Theatre 5* sell out, mega-hit KNIGHTMARE LIVE which is touring through June 2014 before returning to an even bigger venue for Edinburgh 2014. At Edinburgh she is also working in a brand new work in progress show called ‘The Something And The Apoplexy’. Voice wise, she is also super busy narrating the massive Itunes Festival’s Highlights Show and she is very excited to be the narrative voice of forthcoming brand new Sky Living documentary ‘9 Months Later‘. Jess has just taken her third solo show, MOVING to the Edinburgh fringe festival 2013. It had a stonking time withfour 4* reviews, full houses and whilst she was up there she blogged for The Scotsman online and the Huffington Post. Also she starred in the award-winning Danielle Ward’s new farce ‘Happy Endings’ at the Pleasance. Jess also received rave reviews from national press with her second show BRAVE NEW WORD in 2012 – see the press and reviews page for more! She followed it up with a London run at the St James Theatre. In the last year Jess has performed on Stephen K Amos’ new BBC Radio 4 show , she’s appeared on BBC Breakfast (BBC1) four times and she has supported MICKY FLANAGAN and TERRY ALDERTON on tour accross the UK. Jess spends the year performing full sets at all the UK’s major clubs: Late n’ Live, Up The Creek, The Stand, Komedia, Banana Cabaret, The Bearcat, BBC Presents, Jongleurs, Highlight, Downstairs at the Kings Head and The Comedy Club Ltd. – as well as squillions of others. A writer on Channel 4’s Stand Up For the Week and on BBC Radio 4’s The Now Show, News Quiz and Newsjack, Jess is developing various TV pilots, a number of shorts and is writing for other (big name) comedians and comedy actors. 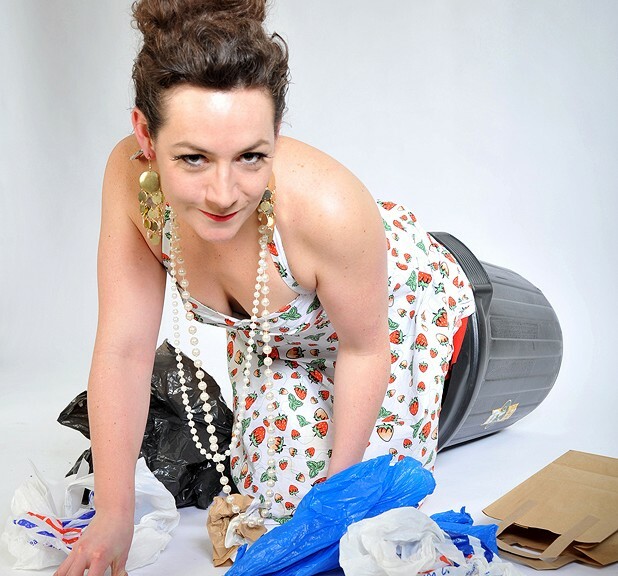 She took her debut hour to Edinburgh’s Gilded Balloon in 2011, JESSICA FOSTEKEW:LUXURY TRAMP which sold out, got in The Independent Top Ten Edinburgh Newcomers 2011 the Amused Moose Laughter Awards Top Ten. For Edinburgh 2010 Jess wrote and directed ‘Shakespeare for Breakfast’ for C Venues and ‘REACT!’ an improvised comedy show for kids. They received top reviews. In Edinburgh 2009 Jessica performed two different 25 minute sets in shared shows, both of which received highpraise. She went to on perform throughout the autumn and winter in the London transfer of the improvised comedy ‘Scenes from Communal Living’. TV work includes performing in ‘Hallo Panda’, a short Channel 4 Film by Charlie Productions and the 2009 BBC comedy ‘Psychoville’, from the makers of The League of Gentlemen.